Adults-only tickets for each individual lecture are $20 per person and $10 for educators. 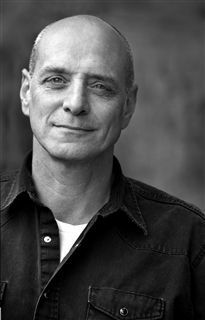 Best-selling author, Eric Schlosser, helped start a revolution in how Americans think about what we eat when he wrote his first book, Fast Food Nation (2001). It has been translated into more than twenty languages and remained on the New York Times bestseller list for two years. Kids love fast food and fast food companies couldn’t survive without kids. Schlosser will discuss how junk food companies continue to target children, and how it is contributing to an epidemic of obesity and poor health in America. Schlosser is a best-selling author and investigative journalist. He explores subjects ignored by mainstream media and tries to give a voice to people at the margins of society. As a filmmaker, Schlosser was involved with two films that premiered at the 2016 Tribeca Film Festival: Command and Control and The Bomb. 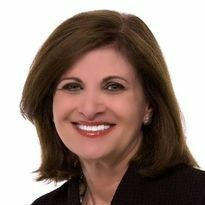 Dr. Michele Borba, an award-winning author, will speak on her latest book, Unselfie: Why Empathetic Kids Succeed in an All-About-Me World. Dr. Borba will share nine proven and teachable habits to nurture children’s empathy and why developing empathy is a key predictor to help kids succeed in our plugged-in, trophy-driven world. Discussion and Q&A will be followed by a book signing. Books will be available for purchase. Borba is an internationally recognized expert on children, teens, parenting, bullying and moral development. Her work aims to help strengthen children’s character and resilience, build strong families, create compassionate and just school cultures, and reduce peer cruelty. Borba is an NBC contributor and has appeared on the Today Show as well as Dateline, Anderson Cooper, Dr. Phil, Dr. Oz, The View, NBC Nightly News, CNN and others. Tickets for each individual lecture are $20/person and $10 for teachers. Seating is limited so we always encourage those interested to register early. Free childcare is provided to Seven Hills families. We look forward to seeing you!